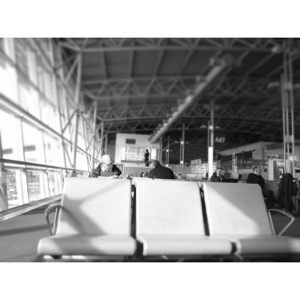 I was waiting for my next flight heading to Budapest. I stayed for couple of hour at Bruxelles airport. It was such a common modern nice proper huge noisy I-don-t-like-it kind of airport. I was stuck at the moment because there were no electronic sockets which, forced me to turn off forever my Blackberry, couldn’t update anything, nothing to do. Cause it was 7 am in the morning, plus after having slept at Milan airport the night before. Had to catch the first flight from Milan to Bruxelles at 5:30 am. Then you know, feeling sleepy was the most permittable thing you could ever ask. I bumped into these look-so-comfortable arm chairs? Waited there literally did nothing. There, it was the time when I realized, life as a traveller wasn’t “that” awesome for a reason.